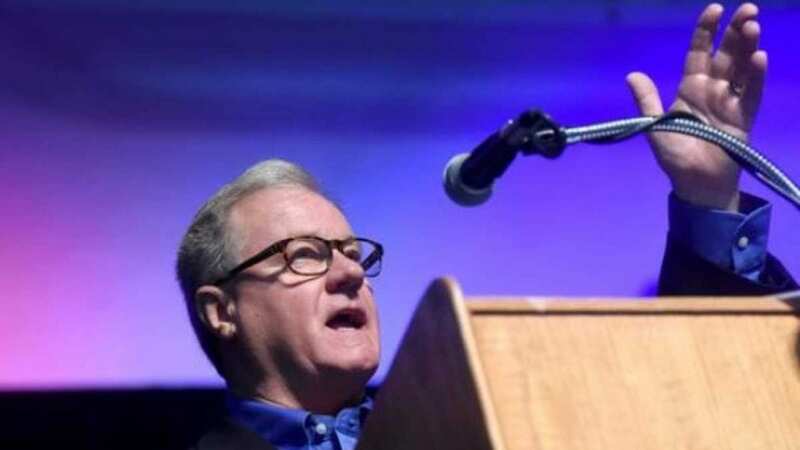 HERSHEY (WSKG) — At its annual winter meeting Saturday, the Pennsylvania Republican Party endorsed York County state Senator Scott Wagner for governor. The hat-tip gives Wagner a powerful new talking-point as he attempts to unseat Democratic Governor Tom Wolf. Wagner had a strong lead in straw votes leading up to the endorsement–pulling 175 out of 317 nods from around the state. Pittsburgh lawyer Laura Ellsworth had already said she wouldn’t compete for the GOP nomination; and before the official endorsement, House Speaker Mike Turzai gave an emotional speech, bowing out of the race entirely. During his speech, leaders of House Republican Campaign Committee circulated a letter they’d written to Turzai urging him to stop running in order to stay on as Speaker. “Politically, our caucus has had a number of retirements in electorally challenging districts across the Commonwealth, and we will need your help to ensure we bring back a strong House majority,” Chairman Mark Mustio wrote. In his acceptance speech, Wagner pledged to be a strong foil to Governor Tom Wolf, and to unify state Republicans against an expected strong Democratic turnout in November. “This has been a tough time. We have a lot ahead of us,” he said, going on to rail against the “status quo” he said Wolf has promoted in Harrisburg. In the last 40 years, no candidate endorsed by the state party has lost the Republican primary. But health systems consultant Paul Mango and Ellsworth both said they’ll keep running through May. The party also nominated suburban Philadelphia real estate investor Jeff Bartos for Lieutenant Governor, over former Lancaster Representative Gordon Denlinger and Constitution Party activist Peg Luksik. Midstate Congressman Lou Barletta was unopposed, and received the GOP nod for his bid to unseat incumbent Democratic U.S. Senator Bob Casey. Republicans have enjoyed a long tenure as a dominant political force in Pennsylvania–particularly in the state House and Senate, and in Congress. But at this meeting, party members appeared to be feeling some pressure from what some analysts are terming a “blue wave” of democrats who could win elections in November. Bartos embraced it as a challenge.